The technical mechanisms used to provide the different services which can be classed as being private cloud services can vary considerably and so it is hard to define what constitutes a private cloud from a technical aspect. Instead such services are usually categorized by the features that they offer to their client. Traits that characterize private clouds include the ring fencing of a cloud for the sole use of one organisation and higher levels of network security. They can be defined in contrast to a public cloud which has multiple clients accessing virtualised services which all draw their resource from the same pool of servers across public networks. Private cloud services draw their resource from a distinct pool of physical computers but these may be hosted internally or externally and may be accessed across private leased lines or secure encrypted connections via public networks. The additional security offered by the ring fenced cloud model is ideal for any organisation, including enterprise, that needs to store and process private data or carry out sensitive tasks. 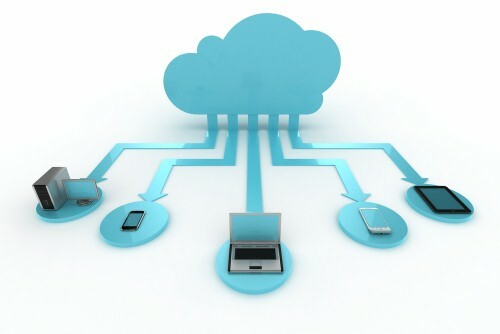 For example, a private cloud service could be utilized by a financial company that is required by regulation to store sensitive data internally and who will still want to benefit from some of the advantages of cloud computing within their business infrastructure, such as on demand resource allocation. Cloud bursting; some providers may offer the opportunity to employ cloud bursting, within a private cloud offering, in the event of spikes in demand. This service allows the provider to switch certain non-sensitive functions to a public cloud to free up more space in the private cloud for the sensitive functions that require it. Private clouds can even be integrated with public cloud services to form hybrid clouds where non-sensitive functions are always allocated to the public cloud to maximize the efficiency on offer.